We wait for Siddharth at a quaint Irish bar in Chennai on the eve of Jigarthanda’s release. He is in the middle of a promotional event for the movie, and when he learns that we have been waiting to talk to him, he apologises. Profusely. And whispers that he will be all ours in “just a few minutes.” And it is just a few minutes before he walks away from the crowd and settles down with us for an interview. Siddharth is disarmingly candid. He has the same earnest sincerity whether he is talking about his career or the controversies that have dogged him throughout. 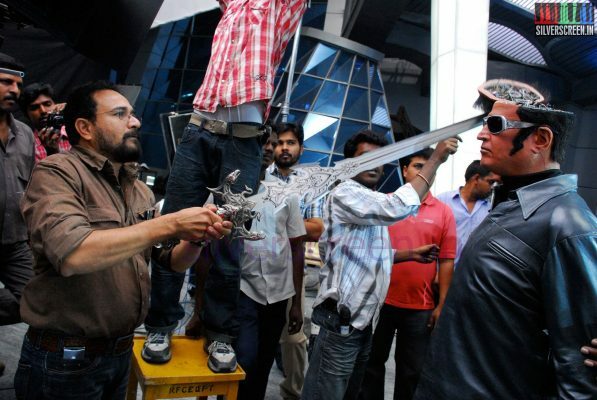 “I did not take acting seriously for the first two or three years of my career,” he reveals, “I wanted to be a director. I still do.” It was Sujatha, wife of Tamil writer Sujatha Rangarajan who asked him to audition for director Shankar’s Boys. 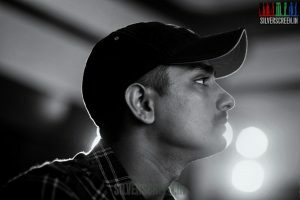 “I consider her my first casting director.” Siddharth acted in a few films, including Mani Ratnam’s Aaytha Ezhuthu before his Telugu debut in Prabhu Deva’s blockbuster Nuvvostanante Nenoddantana. He considers it his first film. 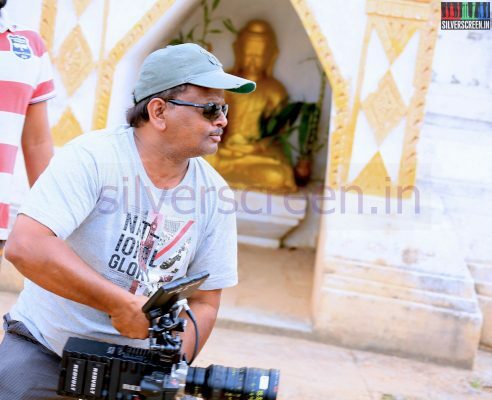 “Only after Nuvvostanante Nenoddantana did I realise I wanted to be an actor. Prabhu and I found something in that film,” he says. [quote align=’left’]You have to understand that an actor is only as good as his last Friday. 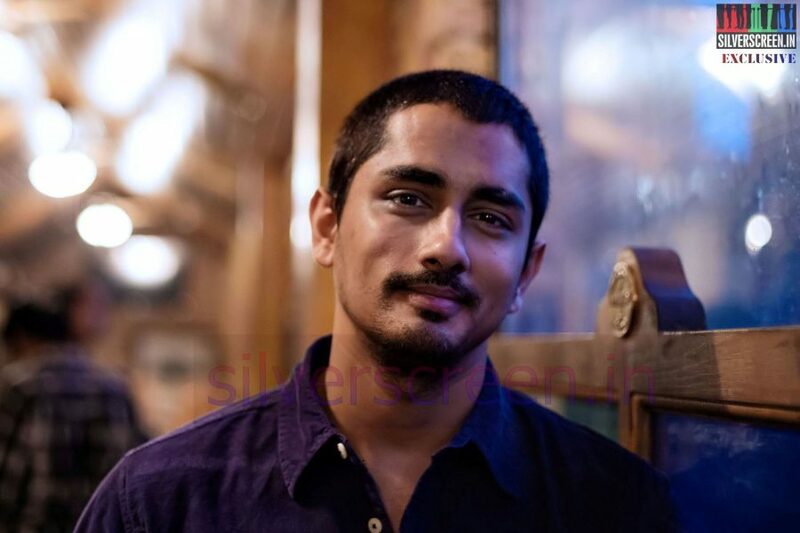 [/quote]It would be eight more years before Siddharth acted again in Tamil. 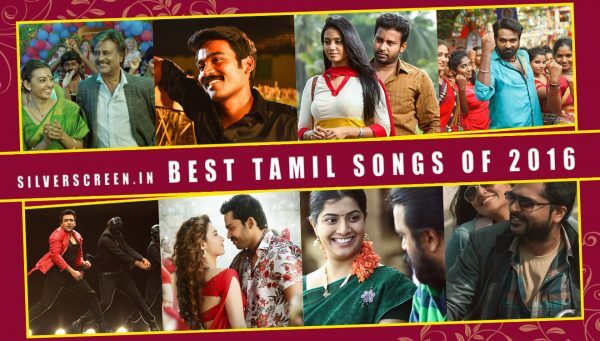 He did several Telugu movies and the odd Hindi film, before he got back to Tamil cinema with 180 and the breezy rom-com Kadhalil Sodhappuvadhu Yeppadi and last year’s comedy Theeya Velai Seiyyanum Kumaru. Karthik Subbaraj’s Jigarthanda will be his 21st film. 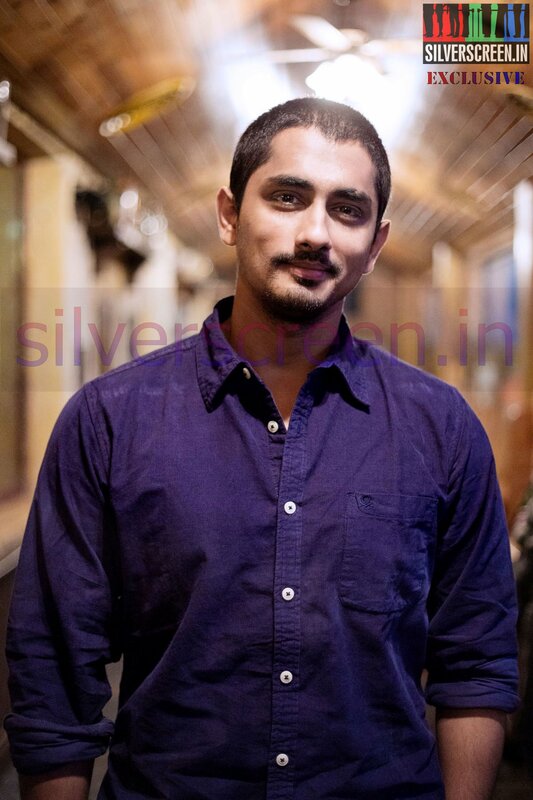 Despite having been part of the cinema industry for twelve years, Siddharth says Fridays never get easier. He is still anxious before every release. “Cinema can be such an unfair profession. To the outside world, I must’ve looked like a kid with an MBA who suddenly became a famous actor. Lucky. But you have to understand that an actor is only as good as his last Friday,” he tells us. He is confident about this Friday, though. 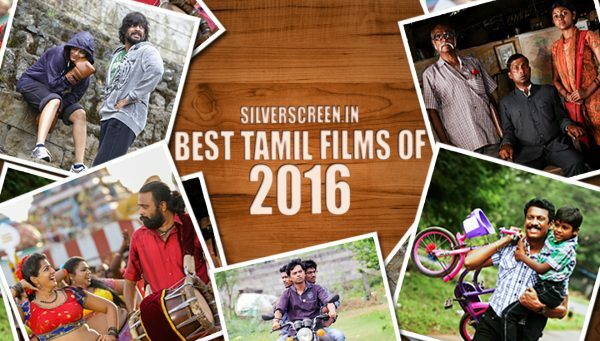 He thinks Jigarthanda will be another Theeya Velai Seiyyanum Kumaru at the box office. “I think this year is my year. Not in terms of success. But my year to stand up and be recognized. I fought very hard to move away from what people thought I can and I can’t do. And this year, I have done what I want to do. For the first time in my career, I am getting the type of films I want to do,” he says, with hope. [quote align=’left’] I often think about how much I need to mute myself to be acceptable. God knows I have tried and my lowest volume is still controversial. Maybe, I should just stay switched off. [/quote]Siddharth was away from Tamil cinema for quite a while, but he seems well-informed all the same; about the current trends that rule the industry. And, also about the stars who have found success here. He doesn’t let that intimidate him, though. “I go to work with a fear that I’m not good enough,” the actor declares, “That keeps me going.” But he’s also quick to add that he has a problem with the audience’s perception of what acting really is. “There is a popular notion that looking natural on-screen is easy, and that you have to do something protracted to be called a great actor.” Remember Cary Grant? He questions. “Everyone said he’s the greatest actor in the world. But he never won an Oscar for a long time.” Good acting, Siddharth asserts, is giving the director what he wants. “But I wish the directors would ask more from me,” he adds wistfully. His life being scrutinized by tabloids leaves him chagrined. “I am not as angry as I used to be. I have chosen to not talk about many things anymore.” “But,” he adds with an air of acceptance, “on Twitter, I often get pulled into controversies.” He is obviously opinionated, but is he being impulsive in voicing out his views? “It might seem impulsive to you but I might have thought about for hours before tweeting it out.” He turns pensive. “But I often think about how much I need to mute myself to be acceptable? God knows I have tried and my lowest volume is still controversial. Maybe, I should just stay switched off,” he says, in a matter-of-fact tone. We confess we like his Twitter account and he accepts the compliment with grace. With Jigarthanda releasing today and two more promising films in the pipeline, Siddharth is a lot closer to his dream of getting a strong foothold in Tamil cinema. It is a year of renaissance for him and he has a clear vision. “When I started, I didn’t think I would last this long as an actor. But I am still here. My only objective is to keep getting better at what I do,” he says. Siddharth has read all the books that were written by Sujatha. “I still read a lot of his books. His writing was a huge influence on me. He was far ahead of his time, and it was a tragedy that we lost him,” he says. But, he prefers non-fiction to fiction. Biographies motivate him. “I’m a selective reader. I find it more enriching to read about people’s lives,” he says. He is currently reading the biography of Robert Redford and a book called Everything You Know about God is Wrong. “My son is 11-years-old now. He is like a celebrity and he was even featured on magazine covers. I think that has gotten to his head now,” laughs Siddharth, while he talks about his canine companion Mowgli.